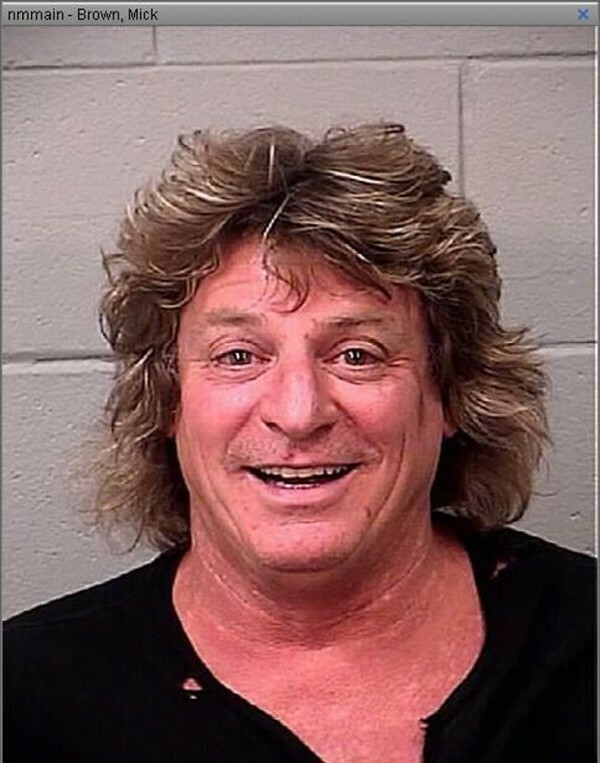 BANGOR, Maine — The drummer for musician Ted Nugent pleaded guilty Tuesday through his attorney to being drunk while driving a golf cart after the band’s July 8 concert on the Bangor Waterfront. Mick Brown, 55, of Cave Creek, Ariz., was ordered to pay a $1,000 fine and his driver’s license was suspended for 90 days, said Michael Roberts, deputy district attorney for Penobscot County. Dubbed “Wild” Mick in the metal community, Brown is best known as co-founder of the 1980s rock group Dokken, according to Billboard magazine’s website. He is also a member of Tooth & Nail with former Dokken guitarist George Lynch. In a plea agreement with the Penobscot County district attorney’s office, Brown pleaded guilty to operating under the influence of intoxicants. Charges of driving to endanger, theft and assault were dismissed, Roberts said. The drummer faced up to a year in prison and a $2,000 fine on the drunken driving charge. Brown was not at the Penobscot Judicial Center on Tuesday. He also was not in court in August when his Bangor attorney, Richard Hartley, entered not guilty pleas on Brown’s behalf. The drummer was arrested by Bangor police on Sunday, July 8, after he allegedly stole a golf cart used by Waterfront Concerts staff and was drunkenly driving it around the Front Street area at about 9:45 p.m.
Brown had been free on $4,000 bail since his arrest, according to previous reports. Bangor police Officers Steve Jordan and Jim Dearing were working at the waterfront pavilion during the show featuring Styx, REO Speedwagon and Nugent when security alerted them to an incident behind the stage, according to a news release from police Sgt. Paul Edwards issued on July 9. Several people had attempted to stop Brown, but he had sped away on the golf cart down the footpath near the Sea Dog restaurant, the sergeant said. Jordan later observed the cart with two women on board near the Railroad Street crossing and attempted to stop Brown, again without success. After Brown had accelerated past officers, Edwards said, a security officer got close enough to stop him, but Brown gave the officer a shove. Two other security team members removed Brown from the cart and he was placed under arrest.